Is the tech wreck for Amazon, Facebook and others over or just beginning? Is tech wreck for Amazon and Facebook over or just beginning? The tech rally has come to a screeching halt. Facebook, Amazon, Apple, Netflix and Google have all helped push the market to one all-time high after another. But investors are suddenly worried about increased regulations in the wake of the Facebook/Cambridge Analytica user data scandal. Shares of these big five techs -- as well as the Nasdaq and broader market -- have all fallen. But Facebook, Amazon, Netflix and Google owner Alphabet have been hit particularly hard. Each of them has plunged more than 10% in the past week and a half. Analysts expect most Big Tech companies to post strong results this quarter and for the rest of this year. Experts say that the Big Tech stocks should eventually bounce back once investors remember how strong their earnings, sales and balance sheets are. Most of these companies are loaded with cash. Yet there are legitimate concerns about whether politics will trump fundamentals. If there is a crackdown on how Facebook (FB), Google (GOOGL) and Twitter (TWTR) (another insanely volatile stock lately) run their businesses, advertisers could flee as a result. And Trump supposedly is considering a change in tax laws or tougher antitrust laws against Amazon, which could hurt its business. Washington probably won't let up. Mark Zuckerberg is coming to testify before Congress next month, and stricter internet privacy policies could come after that. That could make tech stocks risky bets for awhile. "The fundamentals are still positive and there is global growth. This is a good buying opportunity for the longer-term investor," said Jeff Schulze, investment strategist at ClearBridge Investments. "But this regulatory overhang will be with the FAANG stocks for the next few months." Wall Street is also worried about how much top tech companies weigh on the broader market. Apple (AAPL), Google, Amazon, Microsoft and Facebook accounted for more than 25% of the weighting in the S&P 500 at the end of February. The last time tech was such a big component of the overall index was during the final stages of the tech stock mania on Wall Street nearly twenty years ago. Schulze thinks it's unfair to compare 2018 to 1999 though. "This is not the dot com bubble of the late 1990s where there was hot money trading themes and ideas," he said. "Major businesses in tech now have already been developed. There are real earnings and cash flow." That may be true. But a company can have solid fundamentals and still be too expensive. "These are obviously really good companies with strong business models but valuations weren't even being discussed. It was more of a momentum move," said Eric Kuby, chief investment officer of North Star Investment Management. "So much money was being put into tech. This was more overdue than overdone," Kuby said. Kuby isn't shunning tech necessarily though. His firm owns shares of Alphabet because he thinks it's a relatively good value compared to Facebook, Amazon and Netflix (NFLX). He also owns chip companies AMD (AMD) and Qualcomm (QCOM), which he thinks have been unfairly punished in the recent tech selloff. Qualcomm in particular has been hit hard because of the drama associated with rival Broadcom's hostile attempt to buy it. The Trump administration blocked the takeover, citing national security issues since Broadcom (AVGO) is based in Singapore. Kuby is more bullish on stable companies that have fallen out of favor but could offer more solid returns if the market volatility continues and the broader economy loses steam as well. He likes Kraft Heinz (KHC) and drug store giants CVS (CVS) and Walgreens (WBA). But even if the Nasdaq continues to slide, tech may not bring down the overall market. Several non-techs in the Dow, most notably Boeing (BA) and Nike (NKE), are still enjoying solid gains this year. Older techs have thrived as well. Cisco (CSCO), Intel (INTC) and Microsoft (MSFT) are among the top Dow performers in 2018. But one thing seems certain. It looks like volatility is here to stay and that is largely due to the fast and furious pace of headlines about the top techs. Traders are making quick bets to try and profit from the rapid moves -- up and down -- in these stocks. "This is a big opportunity for day traders to profit off the movement for tech stocks on the long and short side. 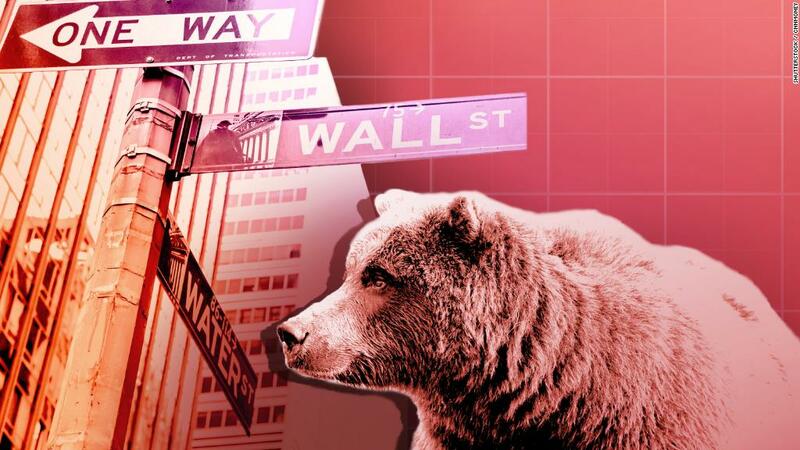 There has been a huge uptick in trading lately -- especially for tech stocks," said John Bartleman, president of brokerage firm TradeStation.